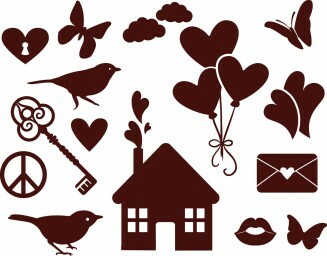 Set of romantic vector elements : hearts, ornate key,birds, butterfly,lips, envelope etc. for your beautiful love designs, illustrations, postcards,backgrounds. Tags: Bird, butterfly, decorative elements, greeting card, house, love, romantic, simple.